The Monsters & Magic RPG back in print! Mindjammer Press and Modiphius Entertainment are delighted to announce the release of the acclaimed Monsters & Magic roleplaying game, available now in a brand new print edition (including a complementary PDF!) for just £19.99 on DriveThruRPG.com. Created by Sarah Newton, author of the ENnie award-winning Mindjammer roleplaying game, Monsters & Magic features old school fantasy with new school play, letting you play your beloved old 1st edition modules and campaigns using this modern rules set with an old school vibe—with little or no conversion! Combining the atmosphere of classic fantasy games with modern RPG mechanics, Monsters & Magic lets you use old school fantasy gaming material with little or no conversion with a new and innovative set of rules. Battle giants, defeat dragons, explore deadly dungeons and mysterious wilderlands—and bring your favourite adventures, supplements, spellbooks, and bestiaries to brilliant new life! •	new rules for alignment, hazards, encounters, treasures, epic and mythic gaming, and more! •	140 pages, black & white interior. Dust off your spell book, polish that suit of +1 plate armour, and unsheathe your vorpal blade. Adventure awaits! Monsters & Magic is a complete fantasy roleplaying game—you need nothing else to play. However, please note that while Monsters & Magic is a standalone game, featuring rules which can take you to 20th level and beyond, it’s also specifically designed to work with your favourite classic fantasy bestiaries and spell books. As such, it contains 1st and 2nd level spells and just over 20 sample monsters—enough to cater for your first 4 or so levels of play. Although the rules can take you much further, you’ll want to use your own classic bestiaries or spellbooks for higher level characters, or any of those available for free online! •	The Heroic Companion — Hero Scale Adventures for Monsters & Magic. •	The Horror of Haugling Hall — a Monsters & Magic adventure for levels 1-4. We hope you’ll take the chance to enjoy this brand new printed version of this classic fantasy roleplaying game and look out for more great Monsters & Magic titles appearing soon! Buy the 140-page softback edition of Monsters & Magic today! Mindjammer Press and Vagrant Workshop / Pro-Indie are delighted to announce their agreement to produce a German-language translation of the “old school fantasy, new school play” OSR RPG Monsters & Magic. Vagrant Workshop / Pro-Indie, a private alliance of independent game designers based in Germany and led by Carsten Damm and Kathy Schad, will translate and publish the German-language version of the Mindjammer Press game, adding it to their catalogue of published games such as Equinox, Vampire City, Itras By, Valley of Eternity, and the German version of Jason Morningstar’s Fiasco. “We have been looking for a new fantasy game ever since we stopped working on Earthdawn Third Edition, and think that we’ve found a perfect match for our product folio with Monsters & Magic,” added Carsten Damm, co-lead designer of Vagrant Workshop. Vagrant Workshop / Pro-Indie expect to release the German-language version of the Monsters & Magic in 2014. You can find the full text of the press release here. Launching at GenCon 2013 – The “Monsters & Magic” RPG! 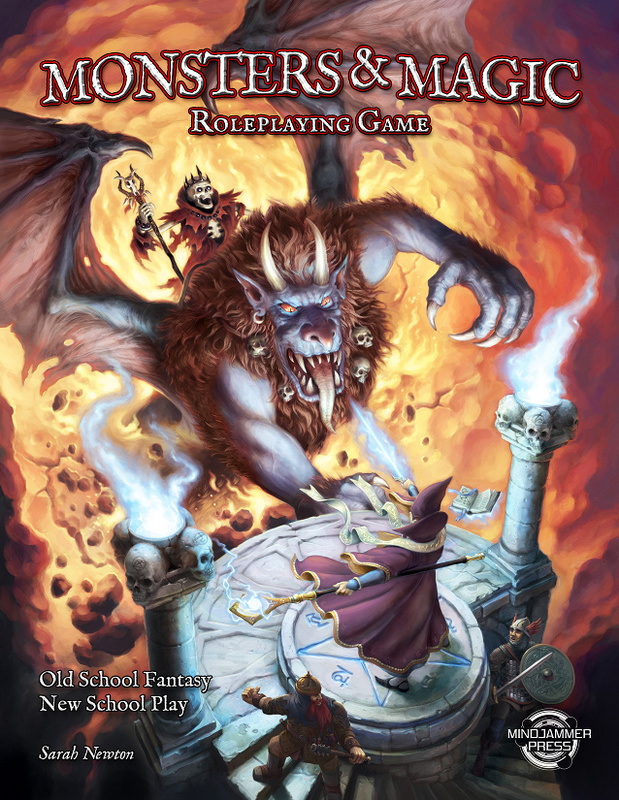 This week at GenCon 2013, our “old school fantasy – new school play” RPG Monsters & Magic is launching in print version at the Chronicle City booth (1751). By ENnie Award-winning game designer Sarah Newton, and featuring a gorgeous cover by Jason Juta, interior art by such industry stalwarts as Jennell Jaquays, Linda Jones, Eric Lofgren, Brad McDevitt, and Gill Pearce, and maps by Rich LeDuc, Monsters & Magic is a 140-page softback containing all you need to play your classic old school modules and supplements with a new and modern set of rules – with little or no conversion. Grab a copy today from Chronicle City, publishers of the print version – either direct from their booth at GenCon, or by mail order from their webstore, or in PDF from DriveThruRPG. Copies will be making their way into distribution to your Friendly Local Game Store soon! 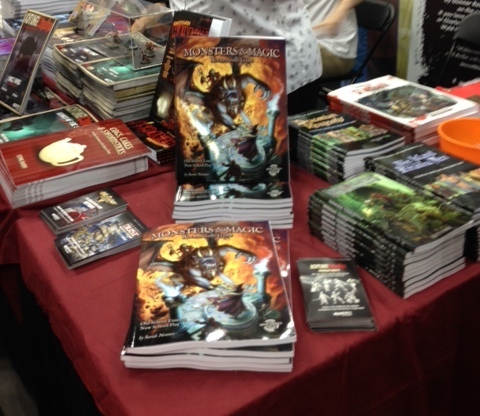 You can also check out Monsters & Magic in action – it’s being played at Games on Demand at GenCon at 2pm! Mindjammer Press is delighted to announce the publication of its old school renaissance fantasy roleplaying game, Monsters & Magic! Written and designed by ENnie Award-winning games designer Sarah Newton, Monsters & Magic is a fusion of classic fantasy roleplaying with modern rules concepts, letting you play your favourite characters and campaigns with a new and innovative set of rules! OLD SCHOOL FANTASY – NEW SCHOOL PLAY! Monsters & Magic is an “Old School Renaissance” fantasy roleplaying game with a difference. Combining the atmosphere of classic fantasy games with modern RPG mechanics, it lets you use old school fantasy gaming material with little or no conversion with a new and innovative set of rules. Battle giants, defeat dragons, explore deadly dungeons and mysterious wilderlands – and bring your favourite adventures, supplements, spellbooks, and bestiaries to brilliant new life! new rules for alignment, hazards, encounters, treasures, epic and mythic gaming, and more! With layout by Michal Cross (Achtung! 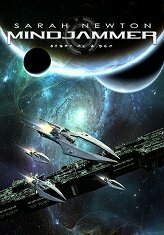 Cthulhu, Mindjammer 2nd edition, Mutant Chronicles), and artwork by industry legends Jennell Jaquays, Jason Juta, Linda Jones, Eric Lofgren, Brad McDevitt, and Gill Pearce, Monsters & Magic is the first in a line of Mindjammer Press products uniting old school fantasy and new school play! Available now in digital format from RPG Now and DriveThru – introductory price only $9.99! Hardcopy to launch at GenCon and in hobby and game stores everywhere (rrp $24.99). Dust off your spell book, polish that suit of +1 plate armour, and unsheath your vorpal blade. Adventure awaits! Check out our Monsters & Magic homepage for previews, downloads, artwork, and much more about the game! Have you got heaps of modules lying around, which you played and loved years ago and would like to use again? Tomes of spells, bestiaries full of terrifying monsters, languishing because the old rulebooks don’t have that zing you’re looking for these days? Then look no further! Mindjammer Press and Chronicle City are very happy to announce their partnership to produce the print version of Monsters & Magic, an Old School Renaissance fantasy roleplaying game written by Sarah Newton (Mindjammer, Legends of Anglerre, Achtung! Cthulhu). 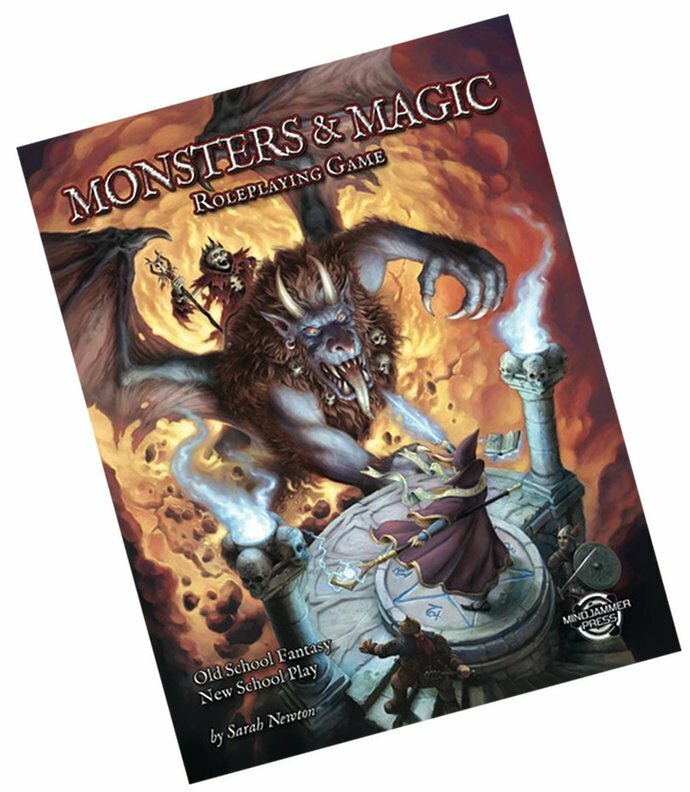 Monsters & Magic is a modern fantasy roleplaying game which mixes cutting edge rules mechanics and narrative techniques with traditional fantasy roleplaying concepts. Specifically designed to be used with classic fantasy supplements and adventures with little or no conversion, it allows players and GMs to pick up their favourite fantasy campaigns and characters and bring them to brilliant new life. It’s a game firmly in the “Old School Renaissance” spirit, and works seamlessly with classic fantasy products, new and old. “Sarah has produced fantastic work for a number of companies over the years and has great vision and ideas. I’m very pleased to be able to work with her again, and Mindjammer Press for the first time, to bring Monsters & Magic to print and retail stores, and look forward to renewing our collaboration on this and hopefully future projects,” added Angus Abranson, owner of Chronicle City Ltd.